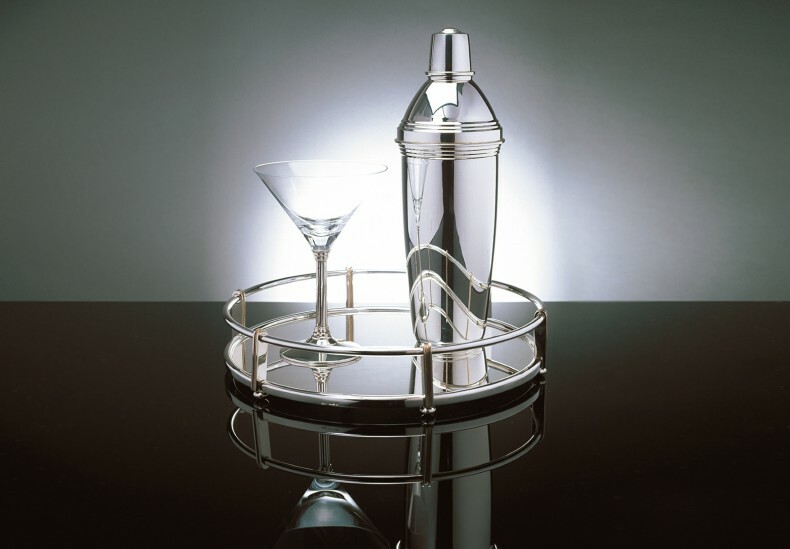 This set is everything that you need to make the perfect martini. 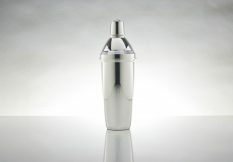 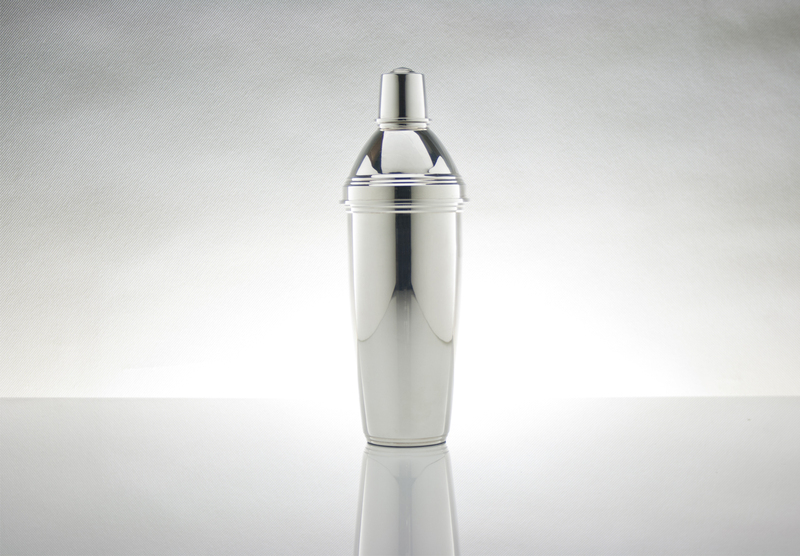 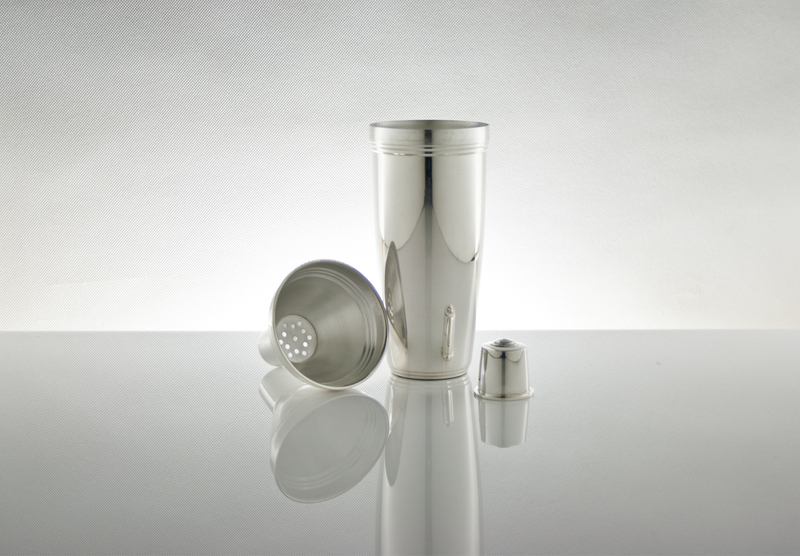 A stylish, heavy gauge cocktail shaker, with a push-fit top, cap and internal strainer. 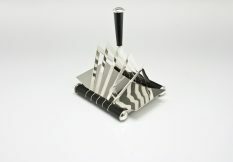 A heavy silver gallery tray with ribbed detail on the posts that support the gallery rail. 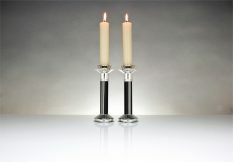 It is available with either a silver or ebony finish base. Cocktail glass with crystal bowl, invisibly mounted on a silver stem and foot. 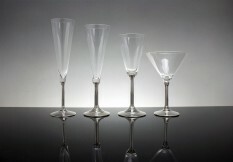 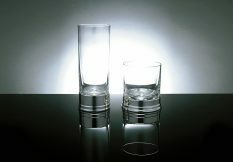 The glasses are available singly or in sets and, should the worst happen, the crystal bowls are replaceable.